The revelation that the No. 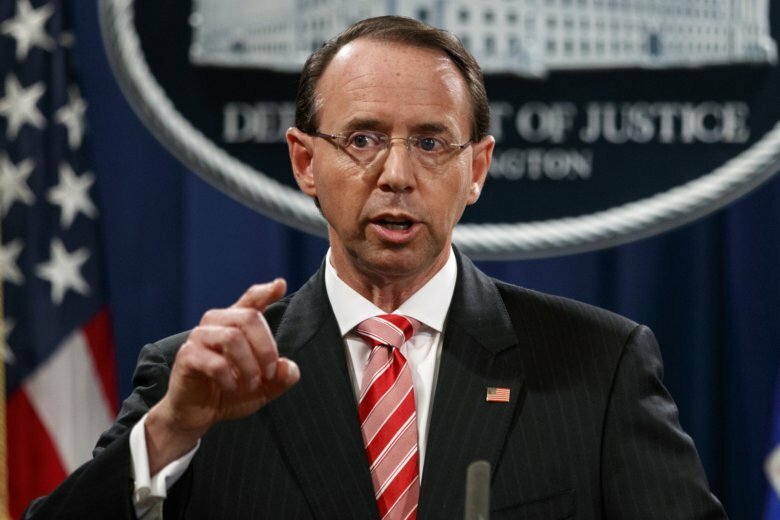 2 Justice Department official had even broached those ideas, sarcastically or not, creates greater uncertainty for Rosenstein’s job status at a time when Trump has railed against law enforcement leadership as biased against him. The president on Friday night said there was a “lingering stench” at the Justice Department that “we’re going to get rid of,” though he didn’t name names.